We've often discussed Moore's Law, discovered by Gordon Moore who was the former CEO of Intel. Moore's Law says that the number of transistors inside an integrated circuit doubles every other year. Current high-end chips like the Snapdragon 855 and Apple A12 Bionic are produced using the 7nm process, meaning that the size of the transistors inside the component is 7 billionths of a meter. That is smaller than the previous generation chips that used the 10nm process. To show you how far we've come, the Nexus 5 from 2013 was powered by the Snapdragon 800 SoC, which used the 28nm process. Why is this important, you ask? Because as the size of transistors shrinks, more of them can fit into the dense space of an integrated circuit. More transistors employed on a chip give it more power and make the component more energy efficient. So that is why it is important that according to CNET, Samsung announced today that it has been able to shrink the size of a transistor to 5nm. 2,000 of these transistors would fit across the width of a human hair! Chips using these smaller transistors will be able to boost performance by 10% or reduce energy consumption by 20%. 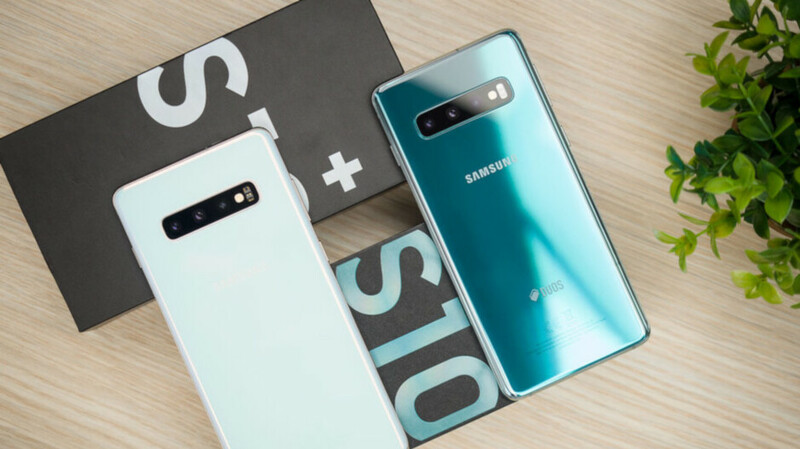 Samsung will start mass production using the 5nm process during the second quarter of 2020. Right now, it is allowing its customers to build test chips at 5nm. Samsung will have competition from TSMC. The latter has started building prototype 5nm chips for customers and says that these are providing a 15% speed bump compared to the 10% that Sammy's chips are getting. While TSMC wouldn't give any detail about savings in energy consumption, the company says that the number of transistors that will fit in a particular surface area rises 80% with its technology compared to 25% for Samsung. Both Samsung and TSMC are currently able to layout chip wafers more precisely by using extreme ultraviolet (EUV) technology. This technology uses short beams of UV light to etch patterns onto the wafers. Samsung and IBM are also working on a technology called nanosheets that was originally going to be used on 5nm chips. That is no longer the case, but when applied to the manufacture of chips, it is expected to raise performance by 50% or cut power consumption by 75%. They are way behind in chips but ahead in foldable with ugliest notch and outside screen. They are now more on putting more ram, bigger batteries and storages while their software tweaks isn’t good enough. You done with your rant ...? Not yet, until they become the next LG, nokia, blackberry, HTC and Sony. That wont ever happen fool! So don't count on it. Samsung is the leading innovator and will remain so for the foreseeable future. So they are giving customers what they want? Shame on them! They should take away things customers want just like Apple right peaceboy? More powerful chips that consume less energy.... I feel like we hear this every year but it hardly noticeable. we cant notice it because they add more things that use more power therefore the battery life feels the same. i do feel a difference from the s7 to the s10 by at least 4-5 hours of screen on time with heavy use. I assume Samsung is saying at least a 10% speed boost compared to the 7nm EUV chips, whereas TSMC is likely comparing it to a 15% increase over their 7nm FinFet. With little to no idea how Samsung's 7nm EUV stacks up against TSMC's 7nm FinFet, those numbers are completely useless. "Next year Samsung will mass produce more powerful chips that consume less energy" That's happening every year for the past 20+ years!